Live screening from the Olivier Theatre. Simon Godwin follows the success of Twelfth Night with another Olivier Theatre Shakespeare. 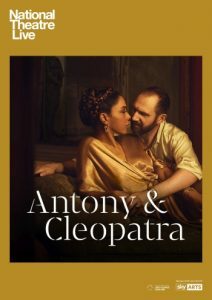 Ralph Fiennes and Sophie Okonedo play the titular lovers, with design by Hildegard Bechtler.